Established in year 1984, we, “Fine Spavy Associates & Engineers P. Ltd.”, are among the prominent organizations engaged in manufacturing, supplying and exporting Material Testing Machines. The products offered by us are manufactured under th supervision of experienced professionals, who strictly follow the established guidelines of the industry and utilize optimum quality material procured from the reputed vendors of the market. Stringently tested before the final dispatch to the customers, these products are applauded by the customers for their excellent performance, durability, low maintenance and rigid construction. Being a customer centric organization, we ensure to attain maximum satisfaction of the customers and so for the reason offer them qualitative products at economical prices. In order to fulfill the diversified requirements of the clients, we offer our products in various specifications as well as in custom-built range. Along with this, we ensure to deliver all our products to the customers place within the promised time-frame and in a safe manner. To facilitate simple process of financial transactions, we accept payment through various easy modes like cash, cheque and demand draft. All the above stated factors have helped us to muster a huge client-base in the major markets of India, U.K, USA, Malaysia, Middle East, Africa, Sri Lanka, Bangladesh, Brazil, Myanmar, Thailand, Singapore. With an aim showcase our precision engineered products on a reputed platform, we participated in trade show 'IMTEX Exhibition', at Bangalore. Under the visionary guidance of our mentors 'Mr. Y. V. Kulkarni' and 'Mr. S. R. Joshi', we are climbing new heights of success and growth. Their leadership qualities, vast experience, detailed knowledge and constant motivation enabled our organization to win the faith of numerous patrons across the region. 2009-10 Rs. 5 - 10 Crore Approx. 2010-11 Rs. 5 - 10 Crore Approx. 2011-12 Rs. 5 - 10 Crore Approx. With firm commitment to quality, we are engaged in manufacturing and supplying Material Testing Machines. Offered products are manufactured in tandem with international quality standards and are available in various specification as well a sin custom-built range to suit the exact requirements of the patrons. Our experts conduct several quality tests to ensure the flawlessness of these products, before the final dispatch to the customers. Product-line offered by us is mentioned in the attached pdf file. We strive to achieve and sustain quality of our products and also improve them by making use of cutting edge techniques, technologies and processes. 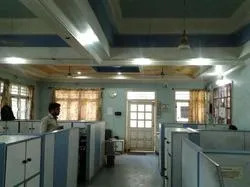 Our sole aim of our workforce is to gain optimum customer satisfaction and hence they focus on quality of products and promptness of our services. Further, with our ethical and honest business policies, we endeavor not to leave any stone unturned to satisfy our clientèle base. Supported by diligent and experienced professionals in all our trade related activities, we are standing ahead of our counterparts. Masters of their respective field of work, the professionals appointed by us have proved themselves over the years. Their knowledge and experience benefit us in undertaking as well as completing toughest tasks with perfection and ease. Also, our professionals make optimum utilization of the available resources to manufacture a qualitative product range and reduce the production cost. Our professionals work in sync among themselves, so as to complete the organizational goals in an effective manner. Further, we arrange training classes and workshops on regular intervals to keep our workforce abreast with advanced technology and changing market dynamics. Over a long period of 33 years our designs are perfected and we have technical directors who have experience of 35 to 40 years and also we have well experienced qualified staff in this very field of Testing Machines. We are having the variou branches at various parts of india. You can go through the below attached pdf. 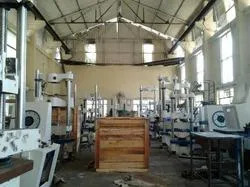 The machine is having 2 frames and one frame is used for Tensile Test and Compression and other frame is exclusively designed for bend test on insulators. Special window based software is provided to meet the special test conditions. The on-line graph, data acquisition, storage and calculations etc. 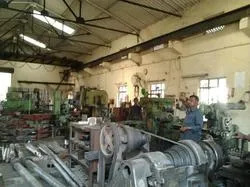 We have supplied Special Computerized Spring Testing Machine for checking deflection of leaf springs to M/s.Canara Workshop Ltd., Mangalore. Ball Screw driven Computerized Universal Testing Machines. We have developed Microprocessor based panels for Rockwell and Balancing Machines. We have developed Portable Dynamic Hardness Tester Model:DHT-6 which is lighter in weight easy to operate, and the machine is first of its kind in India. We are an associate concern of the Fine Group, the leading technological concern of the South India. Our organization is among the reliable manufacturers and suppliers of the Material Testing Machines. These products are manufactured by our experienced professionals, who strictly follow the norms and standards established by the industry. In order to become the preferred choice of customers, we pay high importance to the contentment of the patrons and ensure that high quality products are offered at reasonable prices. Our professionals stay in regular touch with the patrons, so as to know their requirements and offer them products accordingly. Also, we ensure that these products safely reach to the customers' place in the promised time frame. Moreover, to ease the process of financial transactions, we accept payments from various simple modes like cash, cheque and demand draft. Owing to the above stated reasons, we have mustered a vast client-base across the region of India, U.K, USA, Malaysia, Middle East, Africa, Sri Lanka, Bangladesh, Brazil, Myanmar, Thailand, Singapore. Being a quality conscious organization, we never accept compromise with the quality standards of our products. All our products are manufactured in accordance with international standards, under the guidance of experienced professionals. 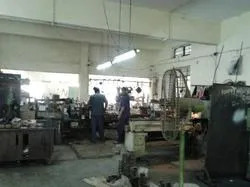 A team of experienced quality experts supervise every stage of production, so as to maintain high standards of quality and eliminate chances of occurring any sort of flaws. These experts are also examine these products on different parameters to ensure their flawlessness and then forward for the final dispatch to the customers. Produced in accordance with internationally accepted engineering practices, our products are setting the standards of quality and performance, all around the globe. Our entire process is supervised by an expert team of technically proficient workers having years of experience in their respective disciplines. The finest grade of raw materials is employed in the process which is procured from authentic vendors of the market. Only inspected and approved items are allowed to move to the market, thus leaving no stone unturned in ensuring flow of only the best items to the market.